﻿ Skyline Boutique Hotel, Phnom Penh | FROM $42 - SAVE ON AGODA! 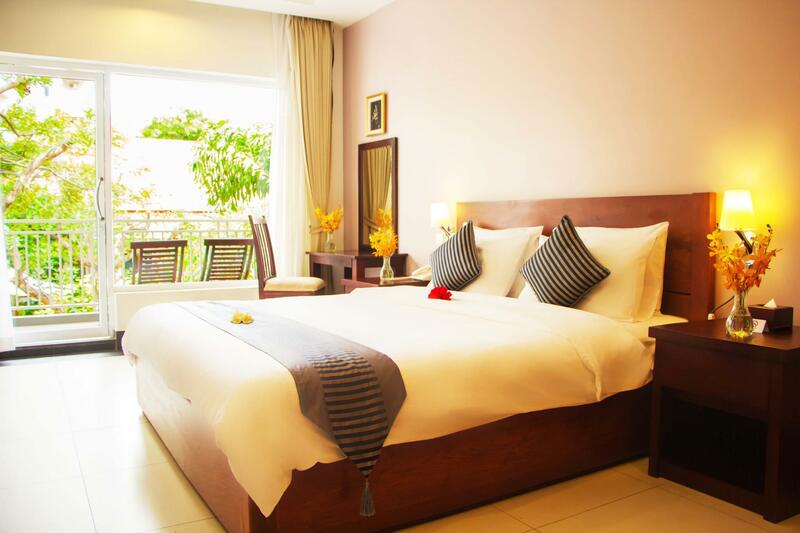 "Very good hotel- clean, spacious and excellent breakfast cho..."
Have a question for Skyline Boutique Hotel? "A great boutique hotel with some amazing bars and restaurants hidden in nearby allyways." "I thought the value for the price was excellent!" 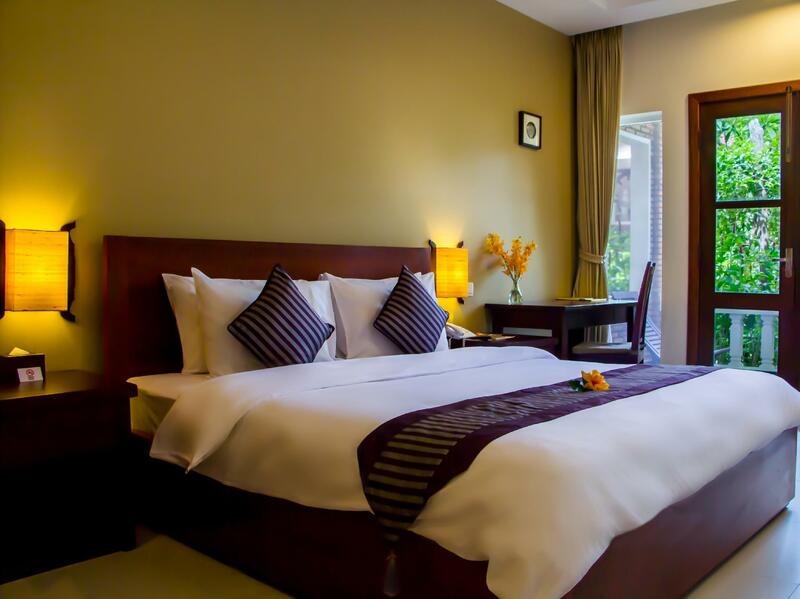 "The bed was really comfortable (and that's important) & good..."
With the location in an oasis of calmness in the heart of Phnom Penh, Skyline Boutique Hotel is a luxurious, elegant, and tranquil place of stay. In only a two-minute walk, guests can reach the Independence Monument and its park. It is also within walking distance to the city’s tourist attractions, including the Royal Palace, Riverfront, National Museum, and Silver Pagoda. 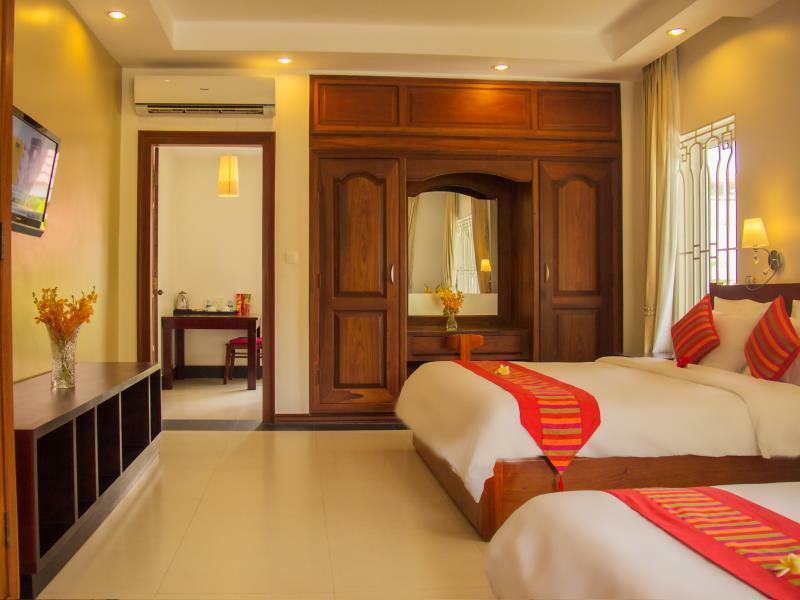 The hotel’s location also caters to business travelers with the location close to the business area of Sihanouk Boulevard. Guests will discover an array of the hotel’s facilities such as a swimming pools for adults and kids, Café Republic, a business center, garden, and playground. This charming boutique hotel features unique guestrooms, spaciously and contemporarily designed with attention to details for the utmost comfort. 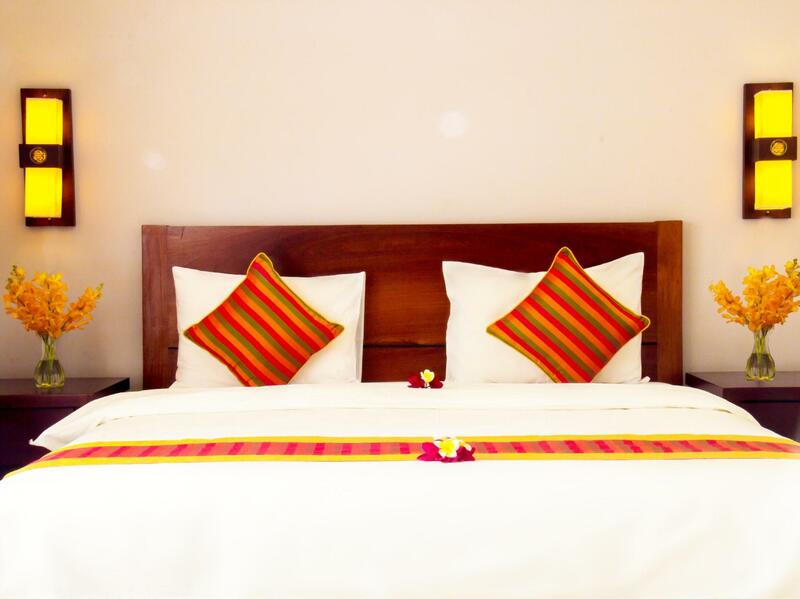 We travel as a family to Phnom Penh and were were pleased with our accommodation at the Skyline Boutique hotel. Everything is clean and well kept. The sheets are fresh and clean and the linens are in good condition. The hotel is very centrally located and at the same time, it is quiet for being in the center of the city. We highly recommend this place. The location was perfect - away from the crazy traveller area, and filled with tiny restaurants and bars. There is a coffee roaster across the street. The staff were truly helpful and lovely. Best room we’ve had on this trip, complete with a sofa. It was a treat to stay there. Close to many sites and restaurants and shops. We stayed in room 209 and it was spacious and well equipped and clean. The Wi-Fi works really well. Breakfast is chosen from a menu with plenty of options and variety. The staff are very helpful and kind. All things considered this is a great value place to stay with nice people running the hotel. A nice garden setting by the pool. Supplied breakfast is pretty reasonable. Rooms nice and clean. Very quiet for its location. Feel safe with security and staff are lovely. I only stayed because my regular hotel was unavailable. I've now rebooked for this weekend! I booked the 2nd floor double room. Which on hindsight was a good choice as I think you are quite likely to get mosquitoes on the ground floor units since I could barely sit near the patios of those units by the pool without getting attacked by mozzies. Room is very clean. Floor was clean enough by my high standards to walk bare foot (something I rarely do in hotels). Bathroom is clean and modern enough. Service by everyone was very friendly and good. The breakfast is choice from a couple of menu sets and it was more than adequate in meeting our needs and quality was decent/good. The in ground pool was great for my 4yr old to play in and clean. The main pool had leaves and flowers falling into it but it seems to be cleaned daily. I enjoyed our days there and would stay here again. The skyline is a green hotel for me, lots of trees, the hotel is very clean, the staff is very nice and helpful. If Skyline adds one or two pieces of furniture, like chair in the room would be more confortable for a four stars hotel. It a small hotel but amazing service, very clean room and great location. Location for this hotel is excellent. Cool neighborhood with lots of eating places. Close to river side and Sofitel. Room was big, clean and well maintained. It had a slightly weird smell when I entered, but that went away. Breakfast was great. Earlier reviews complained about the breakfast choices. They definitely fixed that. I will certainly stay here again. The Skyline Boutique Hotel is close to the river side but still in a quite location. You have several coffee shops and restaurants in walking distance. The hotel have a inhouse coffee shop where they serve breakfast. The staff helped me with my business appointments as well with taxi bookings. For sure will stay again at this hotel when I return. The hotel have a great location and a lovely small coffee shop where I got my breakfast. I was surprised how well the wifi worked. The staff was helpful and had a genuine attitude. The room was well sized and had a big shower cabin. 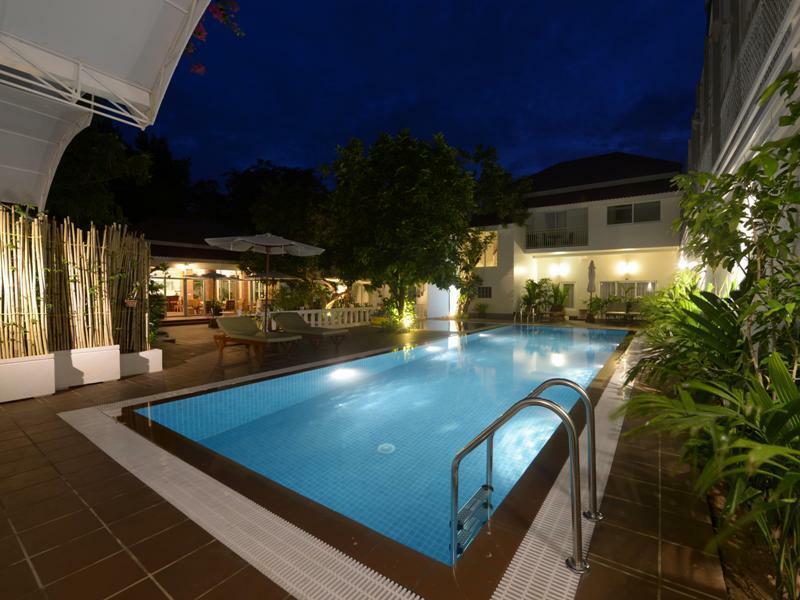 The hotel looks more like a small villa and you feel at home with the friendly staff. Wi fi connection was good and the TV offers many programs. It is a small hotel and you get all the attention from the staff. The breakfast was served individually and there are several choices of western breakfast and fried rice. The fried was good though a little too much but I finished it nevertheless. The staff was very accommodating to refill our drinks. This is a lovely little hotel centrally located in Phnom Penh. The staff are very polite & friendly. Room had a great bathroom, & a nice balcony overlooking the shaded pool area. There is also a great cafe at this hotel overlooking the pool with shaded outdoor & air indoor seating. We stayed in Phnom Penh to visit friends who live there. They recommended the Skyline for its location - walking distance to the apartment district where many ex-pats live, closeness to town, and vast array of local restaurants and bars. Our room was large, clean, and had one of the more comfortable beds we have had throughout Asia (softer than many!). The staff were friendly, gave good advice on local attractions, and the pool was nice and clean. Would stay again. A bit far from shopping and bar area but Very impressive with the staff which are helpful and friendly. Room is clean and nice with comfortable bed. On the last day of my stay, there was a heavy rain and the first floor including the lobby and my room was flooded. The staff were very helpful and despite the inconvenience we are happy with the stay and will recommend those who like a clean and comfortable room. I had an excellent stay. I stayed for about one week. Checkin was fluent. The room was big, clean and well maintained with kitchen and balcony. Safety deposit box present. Good bathroom. Staff at reception spoke good english and were friendly. Breakfast till 10:30 which is good for late sleepers and the swimming pool was excellent and well cleaned. Security at the gate. It is located in a quite street so had a great sleep. Tuk tuks outside and some nice restaurants around. Reception arranged bustravel. I can not say anything bad really other then perhaps the hotel is difficult to find as many tuk tuks do not know the place. It is in the south part of the center (if you define riverside or the barstreets as the center - 10 mins drive max). But for me that is a plus. I can not compare the price with other places to stay. Conclusion: great stay as it should be. Will stay there again when i am back in Phnom Pehn. The family room was nice and spacious and perfect for our 2 little ones. The pool was nice and felt very private. This place has only 20+ hotel rooms with 70 + apartments so it feels like a small hotel. The breakfast was great and the front staff was always helpful with arranging transport and other enquiries. Great stay in a great location with great value! I chose Skyline based purely on location - it was close to where my brother lived. But even if he moves, I'll come back here! The staff were great, the restaurant menu was great, beautiful pool area, nice and quiet. But the location is great - just a short walk to the main drag in PP which is beautiful both during the day and at night. Great restaurants also within walking distance. This was my fourth time to Phnom Penh and definitely the best hotel I've stayed in so far. We stayed in the spacious family room, which is perfect for a family of four. We loved the cafe and the pool. 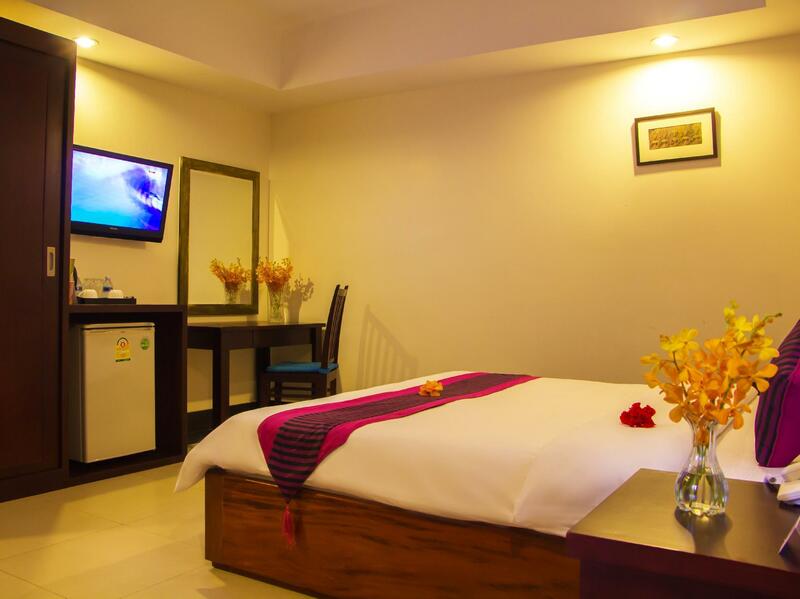 The hotel is centrally located and the staff is super helpful, friendly and kind. We needed to print some travel documents and they were very accommodating. They also helped arrange tuk tuks and taxis as needed. I highly recommend the Skyline!